Whaaattt? That’s a mouthful, and trust me… when you bake these cookies – you’ll have a mouthful. I hate to say it (no I don’t)… but dang, I outdid myself on these bad boys. 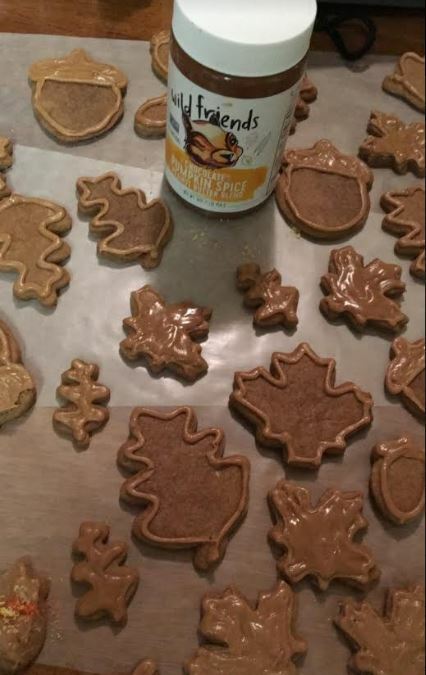 I was scrolling through Instagram when I found an ad for Wild Friends Peanut Butter and when I saw that they had a pumpkin spice peanut butter – I was all in. My credit card came out of my wallet so fast – you would have gotten whiplash. I ordered the seasonal pack (yass… that’s right… there are 4 amazing flavors in this set: sugar cookie, pumpkin spice, gingerbread, and the chocolate pumpkin spice!!) and I 100% will admit that I ate spoonfuls as soon as it arrived (and seriously – it’s flipping amazing). Referring back to my list of favorite things – autumn is here (basically)! The nights are getting crisp, there are spooky decorations in orange and black throughout the store aisles, and there’s just that peace that falls in the air when autumn arrives. 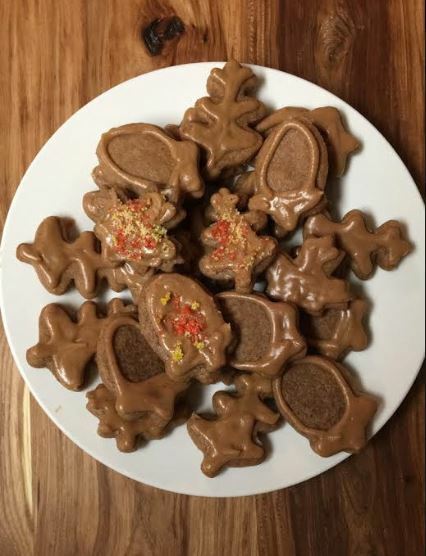 This peanut butter greets the crisp air and together – I knew that cookies were in order. Mix the ingredients and refrigerate the dough for 2 hours. Roll and cut out. 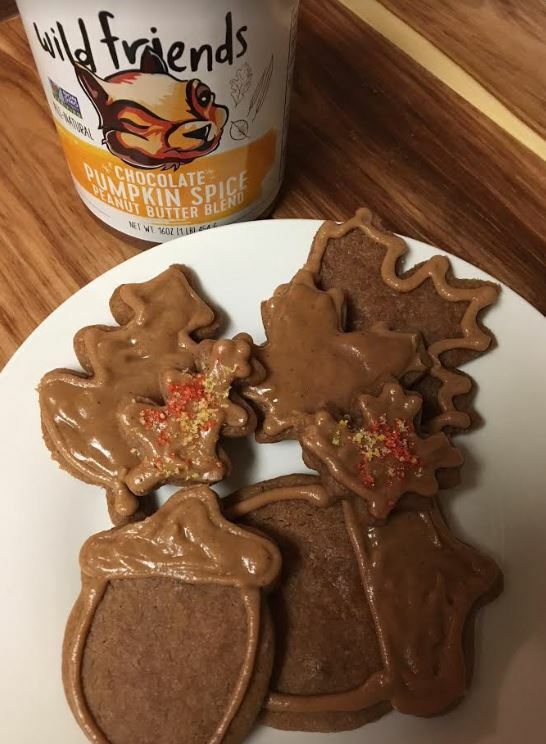 I used leaves, but I think this would make excellent Halloween-inspired cookies. Bake 375 for 7-9 minutes. This is buttercream with peanut butter…. and it needs to go on everything. Mix the butter and powdered sugar. Slowly add peanut butter and milk. Mix and decorate. Try not eat it all first. If you want to add sprinkles – do it while the frosting is damp. If you don’t have sprinkles, but still want something colorful: add good coloring to regular sugar. Mix well. Again – add when the frosting is damp. They’re seriously so good. If you want to make ahead – they’ll store in the freezer for up to 4 weeks (frosted even! ).